I first discovered the Cold Hands, Warm Hearts Swap through a button that I discovered on the blog of the sweet Sandy a la Mode. I instantly fell in love with the idea, but discovered that I was too late to take part in this year's swap. It was a few days later that I noticed a tweet from Sandy that said someone had backed-out of the swap and they -- she and Ilene from much love, Illy -- were in need of a swapper as soon as possible. I immediately replied, and was soon paired with the lovely Joanne of Life's Fascinations. 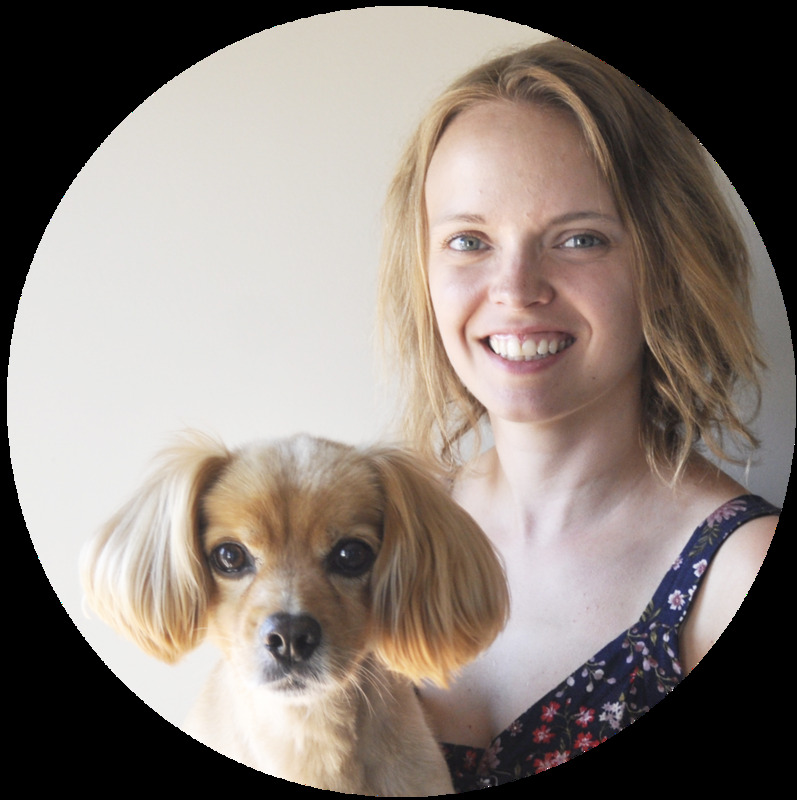 I began reading Joanne's blog, and was instantly pulled in. We had so much in common -- including the fact that we are both left-handed. I quickly emailed her to start telling her about myself, and to get to know her better. We didn't have much time before the packages needed to be sent to the post office -- fortunately, we both live in Canada, so they didn't have far to travel. Joanne was the first to receive her package. She posted a lovely blog post about her delivery, here. Last Thursday, I received my package before heading over to my parents house to celebrate Christmas with my sister and brother-in-law. I quickly opened it up, and began pulling out boxes of Lindt chocolate -- a favourite of mine. There wasn't one or two boxes of chocolates, but five boxes of chocolates! She also sneaked in a couple of lollipops, another chocolate bar, and some gum that tastes like apple pie -- which really does taste like apple pie. But that's not all, the box was filled to the top with goodies! 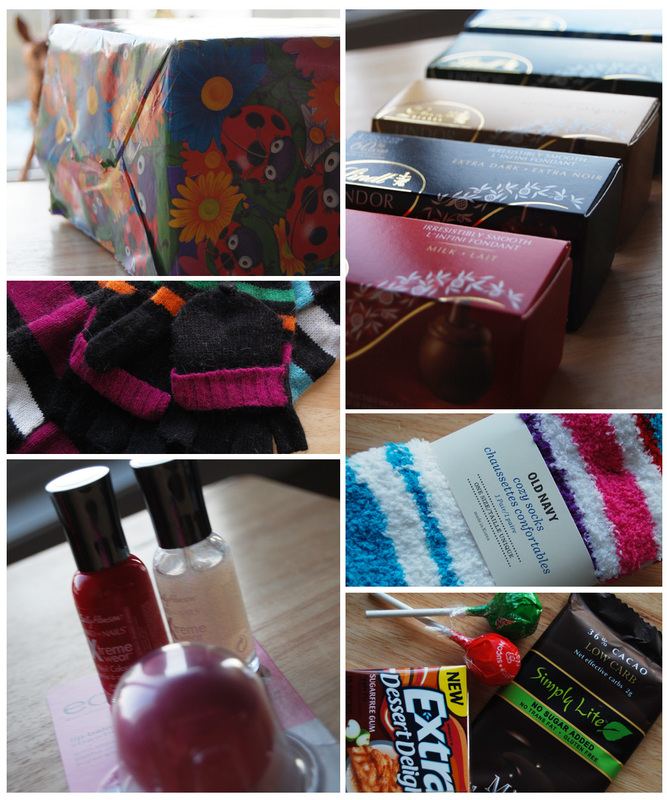 She also sent along two bottles of nail polish, a lip gloss that smells like candy, fuzzy socks from Old Navy -- another favourite -- and, of course, a fabulous pair of mittens and a matching scarf. It really was such a wonderful package to open up, with surprise after surprise of very thoughtful items. Wow! Love all of the fun goodies- fuzzy socks are one of my favorites! yay so glad you got to join in the fun!!!! and you got a sweet package too - yay!! !